With the growth of VoIP, it is more important than ever to make sure your customers can hear you clearly. There is nothing worse than having to repeat yourself, as your audio breaks up. With VoIP, things may sound clear to you, but that does not mean the customers are receiving the same call quality. Calling this number will play back your audio, with a 3 second delay. Allowing you to hear your call quality, just as your customer would. So give the test line call, and make sure your being heard. Analogue or DSP that is the question. The reality is that the answer depends upon a number of factors. For computer headsets or VoIP, clarity of reception and transmission are the major ones. For gaming, responsiveness is also very important. Comfort is a third issue to consider. Also, do you want one ear (ie monaural) or two (ie binaural)? Analogue headsets connect to your sound card via 3.5mm plugs - all digital to audio signal processing is undertaken on your sound card. DSP headsets connect to your PC via a USB port - digital to audio processing is done by the headset Digital Signal Processor (DSP). the quality of your headsets transmitter. WARNING: Computer headset models are replaced much more frequently than telephone headsets. 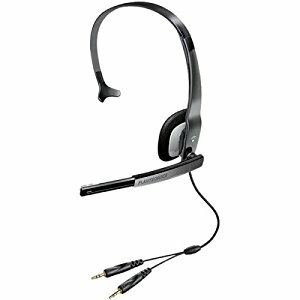 Consequently, many websites still are displaying headsets which are no longer available. Your analogue headset is only as good as the sound card you plug it into. Sound cards in a PC are usually located near noisy components such as CDs, high frequency CPUs, graphic cards, memory chips and hard drives, and can therefore be subject to high electromagnetic interference. The current range of Plantronics analogue computer headsets are the .AUDIO 3xx models. They have replaced the earlier .AUDIO 50,60,90, etc models. 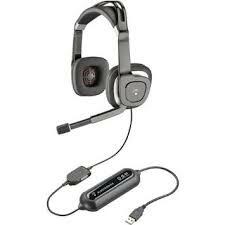 One problem that arises when using analogue headsets for Skype calls is the need to be notified of incoming calls. You cannot hear the Skype tone if your headset is plugged into the sound card. What is worse is when you have your speakers plugged into the sound card and have to quickly disconnect them and plug in your headset before you can answer your call. What is the answer? 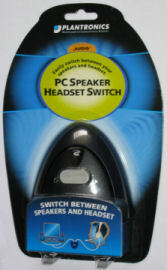 Well Plantronics have produced the PC Speaker Headset Switch. This handy little device switches between your headset and speakers at the touch of a button. The guys at AAAHeadsets tell me that they have sold a lot of these to Skypers. The digital interface provides an inherently better signal. Once audio data is in digital, rather than analog form, it can be easily modified and customized. Installing and configuring a digital headset can be a great deal easier than an analog one. The current range of Plantronics digital computer headsets are the .AUDIO 5xx models. They have replaced the earlier DSP 200 models. 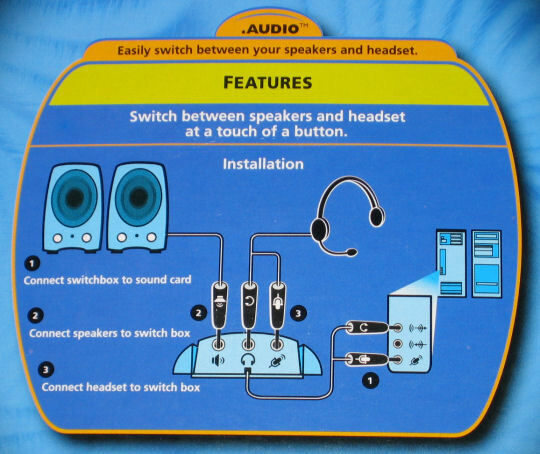 All digital headsets are stereo.